Have your long term benefits been cut off? Has your insurance claim been denied? You need to speak to an insurance denial lawyer right away. Get Results. It's what we do! Family law procedures are complicated, but we will help you understand and deal with them. With over 25 years of experience, we listen, understand & care about our clients. We'll protect your rights. Watson Goepel LLP is an accomplished mid-sized Canadian Law Firm with 30 Lawyers practicing in all areas of law. Please call us for your legal needs. Counsel at Dubas & Company bring 25 years of litigation experience in multiple disciplines to the resolution of the family and commercial disputes of their clients. We are a full service law firm with extensive experience in FAMILY LAW, personal injury law, business law, wills & estates, employment law and more. CALL for more information! Owen Bird Law Corporation is a top level Vancouver law firm with leading professionals in a wide range of practise areas - contact us today! While SHK built its reputation in construction law, it has evolved into one of British Columbia’s leading law firms for construction, insurance, business and commercial law. Our diversified team allows us to offer clients highly specialized expertise in a broad range of practice areas. Before you tell ICBC, Tell Del. Submit your case or Contact us today for a FREE Consultation in which we will advise you exactly what to say to ICBC. We have been helping mining companies for over 40 years with their project development, operations and financing, and general corporate law. Let us help you get the compensation you deserve. Call us before you call ICBC. Yeager Employment Law is a boutique firm of employment lawyers in West Vancouver that has been serving British Columbia’s working public for 20 years. Litication, Tax Law, Business/Corporate Law. Call us today! Barrister & Solicitor, Notary Public. Wills & Estate, Wills & Adul Guardianship, House Transfers & Mortgages, General Notary Work. 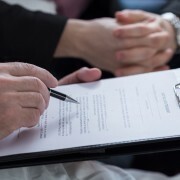 Referrals: Going through a legal matter can be a very intimate and personal experience. Your close acquaintances and family members would be the first people to refer you to attorney law firms in Vancouver BC. Depending on your legal needs, a trusted business partner or colleague can also send you in the right direction. An option would be to consult lawyer referral services that are equipped with a law firm directory that can send you to the appropriate lawyer firms. What's your recourse against travel agencies if a trip tanks?